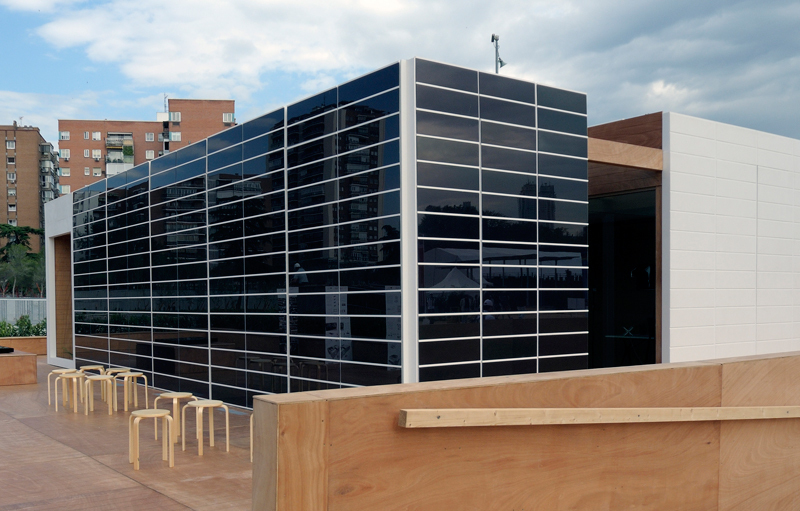 The SML solar house, designed and built by architecture students from the Cardenal Herrera University and equipped with a PV façade from Onyx Solar for the Solar Decathlon Europe, can be visited at Venice Biennial in the Spanish Pavilion. The house, which only uses solar energy to satisfy its energy demand, was first among the Spanish universities and the most voted house by the 190.000 visitors who attended the competition held in Madrid in June. During the competition, organized by the American Energy Department and the Spanish Housing Ministry with the participation of 17 universities from all over the World, the SML house obtained the first prize for Industrialization and Market Feasability, and was also remarked by the judges in the category “Architecture, Engineering and Innovation”. Those successes motivated the invitation to be part of the Spanish Pavilion during Venice Biennial. Also during september, a scale model of the SML solar house will be exhibited at the 5th World Photovoltaic Conference. 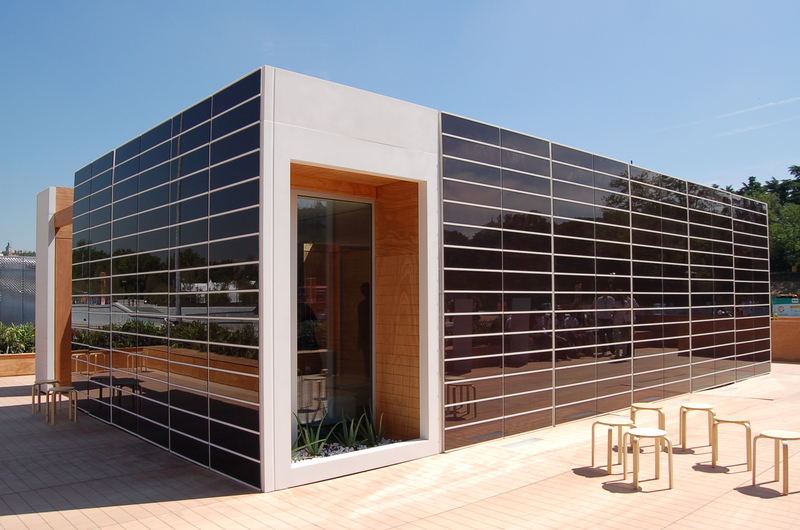 This year, the conference will be held in Valencia from September, 6th to 10th and the SML house model will be exhibited at Schneider Electric booth, as it was one of the companies sponsoring the house during the Solar Decathlon Europe 2010. The Solar House built by the Cardenal Herrera University, in which Onyx Solar participated designing and executing a photovoltaic ventilated façade, obtained the first prize for Market Feasability during the Solar Decathlon Europe held in Madrid last week. What’s more, the SML House was the most voted project among the 190.000 visitors who went to the “Solar Villa” to observe the last tendencies on sustainable architecture. These two recognitions show that Onyx Solar constructive solutions are not only aesthetically attractive but also feasable from an economic point of view. The prize is maybe the most important as it’s the objective of the competition to test new measures that can be after applied in real life by architects in their projects on a daily basis. Thus, it’s demonstrated that the PV ventilated façade has great potential from the supply side (economical feasibility) as well as the demand side (the most voted house among visitors). Also, the SML House was the only project from a Spanish University visited by the Spanish Prince, as seen in the image above. Finally, Virginia Polytechnic Institute and State University was the winner. It wasn’t a surprise as they have been working on the house for the last five years and they finally got a recognition for their work after not winning any of the previous four editions. The Cardenal Herrera University finalized first among Spanish institutions. Students from all over the World put to the test their creativity during the Solar Decathlon competition in order to find more sustainable architectural and energetic solutions for the future. 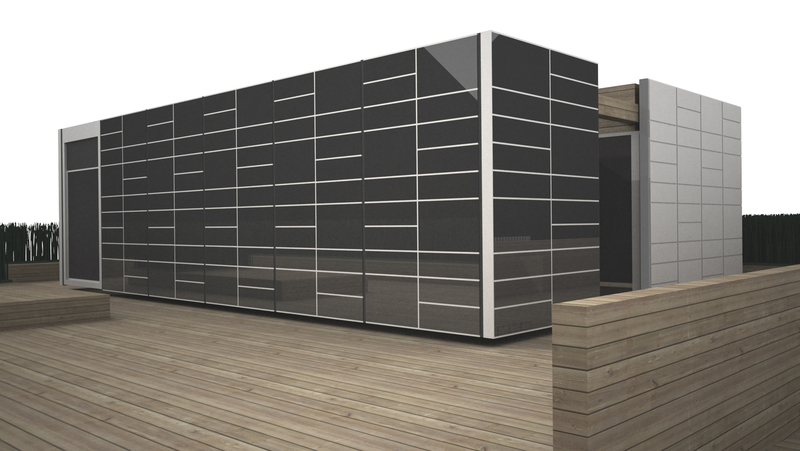 Onyx Solar participates alongside with the Cardenal Herrera CEU University in the design and execution of its proposed solar house, which is one of the 19 projects selected for participating in this international competition. The Solar Decathlon is organized by the US Department of Energy and, for the first time, will be held in Europe as it usually takes place in Washington. This time, Madrid will host the event during the month of June and universities from the US, China, Brazil and Germany will be participating among others. More than 90 students from the CEU University have worked on the design of a sustainable solar house, combining the prefabrication, the use of recycable materials together with cutting edge technologies required by the organization of the event, where the consultancy labor of Onyx Solar experts has been essential. In order to achieve the maximum energy savings, the latest technologies of the sector have been studied with the goal of proposing hibrid solutions. Thus, the designers have obtained great results such as an acclimatization of the house with a consumption of only 1kW of energy or the supply of energy for the electrical appliances with thermal energy generated by the solar pannels installed in the house. Apart from this, one of the main features of the Project is its modular construction which makes possible to build the house according to particular needs, adding or taking off modules.